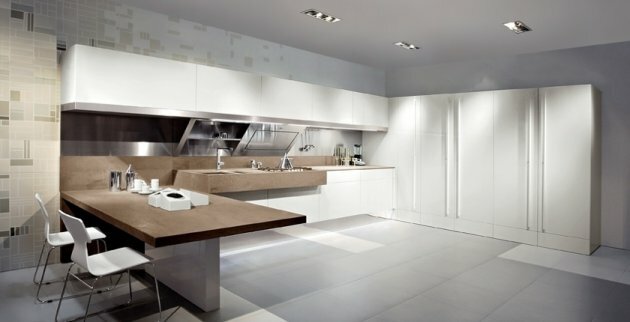 Earlier this year at the 2008 Eurocucina show, Italian kitchen manufacturer Snaidero presented the new Kube kitchen model designed by Giovanni Offredi in elm wood, Snaidero has now announced a new version with a gloss ice-white lacquer finish. 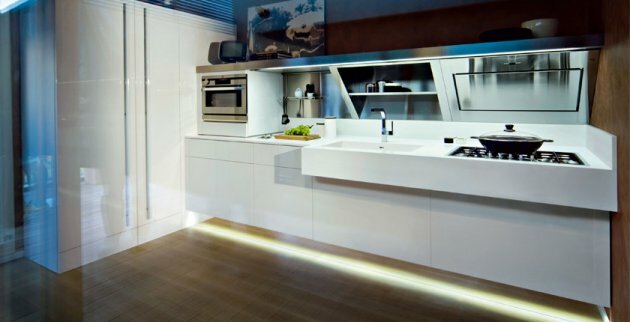 The distinguishing features of Kube are its horizontal and vertical lines, with striking contrasting shapes, materials and colours, which convey a sensation of sturdiness and duration, as well as a simple and immediately identifiable style. 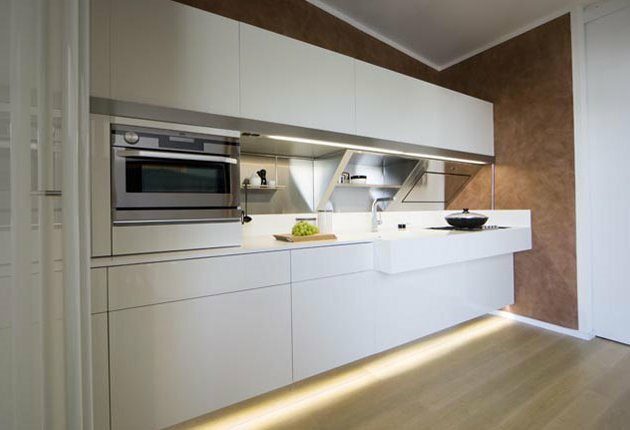 With its essential design, this kitchen provides simple, yet up-to-date and dynamic shapes, offering a harmonious blend of elementary prisms and minimalist square elements, with contrasting functional work units for a structured overall effect. 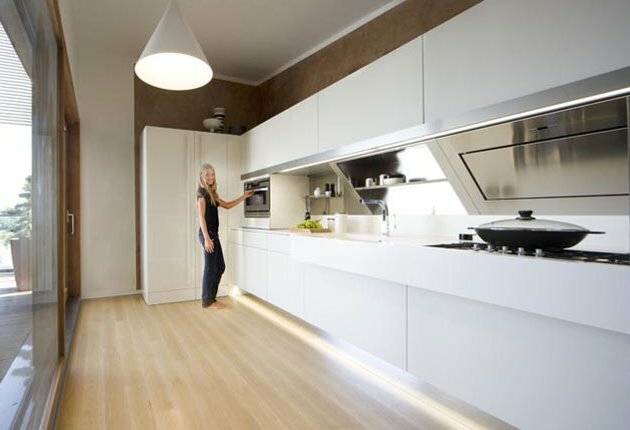 Kube is a highly visible kitchen that conveys an overall idea of elegance, sturdiness and rational, not ostentatious, design, providing a home that will not let itself be dominated by the designer, but that respects those who live in it, their know-how, and their guests. Visit the Snaidero website – here.